The Jibble Attendance Kiosk is a great way to keep track of your staff on your physical site. 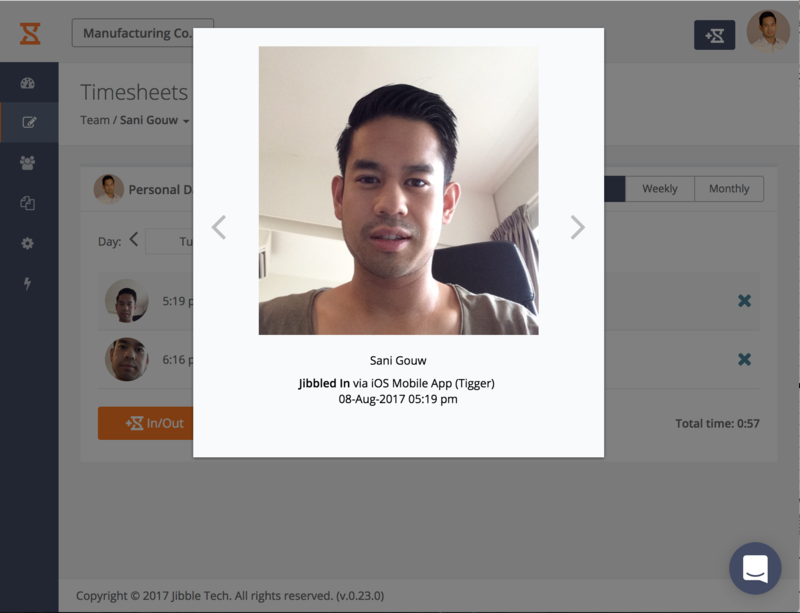 You can use selfies as biometric verification for your staff's attendance. All you need is an iPad or Android Tablet with a stand/enclosure and you can set this up. You can read more about iPad enclosures in our blog post. If you already have an account, simply log in with your username and password. If you don't have an account, you can register in the app directly, or through the web app. 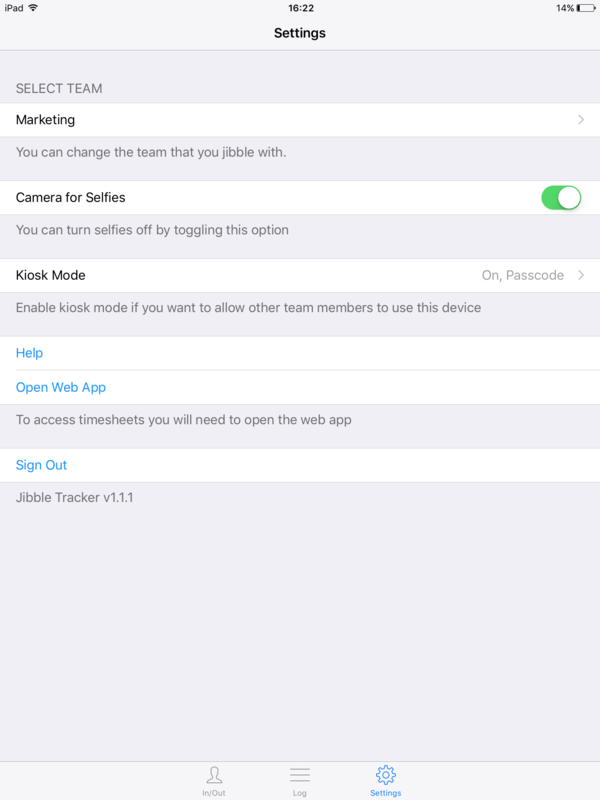 Learn more about setting up Jibble for the first time here. If you have multiple teams you can switch them here. NOTE: It is possible to add team members from multiple teams into one kiosk with the Kiosk+ Power-up. Check out this article to learn how to do that. We always advice to enable this. When enabled, every time someone jibbles in or out a photo will be taken. Make sure this is enabled to use your tablet in Kiosk mode. Otherwise your device will function as a personal time tracker. Passcode - Once activated, users will be requested to key in their personal passcode when they clock in. Don't forget to activate the passcode power-up first. Offline Mode - You can keep using the kiosk even if you setup the iPad in a location without any internet access. Check out this article to learn more about Kiosk+. Once everything is set up, your staff can start Jibbling in / out with a selfie and/or passcode. As a manager, you will have access to all the Jibbles in the action log and timesheets. For example, if you would go to Sani's daily sheet in the example below, you'll see that he had 2 Jibbles and we can verify it's him by that beautiful selfie! When you enable the Facial Recognition Power-Up, all jibbles are automatically audited and verified by the software. So when an unrecognised face jibbles in/out, you will receive an e-mail that there is a "suspicious jibble". A great way to prevent buddy punching! Read more in this help article.